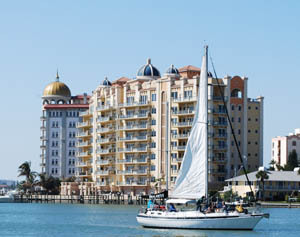 Beyond its stunning sparkling white-sand beaches, Sarasota is widely known as being the “Cultural Capital” of Florida. John and Mable Ringling got the ball rolling when they made Sarasota their home in 1910 and built their stunning Italianate mansion known as Ca d’Zan with an amazing art collection which eventually became the John & Mable Ringling Museum of Art. Take advantage of big city amenities such as abundant art galleries, opera, ballet, theatre, orchestra performances, and film festivals within the small-town atmosphere that Sarasota enjoys. To learn more about Sarasota’s varied cultural, shopping, and dining opportunities, visit the Sarasota Area Visitors’ and Convention Bureau. Downtown Sarasota is extremely walkable, offers great shopping and dining, and is within a short stroll of the waterfront and marina at Sarasota Bayfront Park. 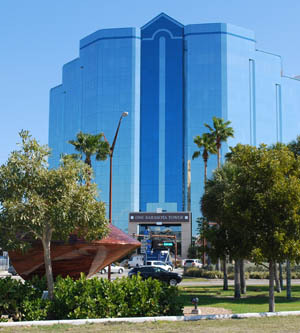 To take a virtual walk of downtown,click here. Saturdays in downtown Sarasota, area residents enjoy the wildly popular Sarasota Farmer’s Market. A must-see is St Armand’s Circle. Just minutes away from downtown across the John & Mable Ringling Causeway, St Armand’s Circle is a great place to walk, shop, and dine. From there, stroll to Lido Beach, famed for spectacular sunsets, just steps from the shopping district. Our nearly year-round warm weather with an average 361 days of sunshine makes Sarasota a great place to find and experience nature, whether on the beach, on the golf course, or in our abundant state and local parks. 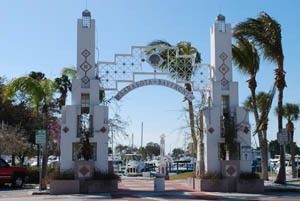 Sarasota County maintains a network of great local parks in addition to a number of state parks close by. A golfer’s paradise, Sarasota boasts over 50 public and private golf courses.